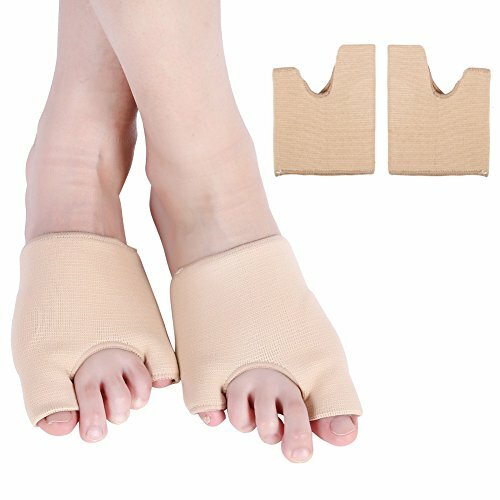 ● Double Bunion Gel Sleeve uses a gel pad to protect two bunion areas at once: the big toe and the little toe (bunionette/tailor's bunion). ● Plus the anatomical design allows for absorption of shock and shear forces to the metatarsal section of the foot. ● Two toe loops keep the Comfort Gel skin from sliding. ● Redistributes and eases impact pressure from walking or running.